Dr. Juan (Helen) Zhou is an Associate Professor and Principal Investigator of the Multimodal Neuroimaging in Neuropsychiatric Disorders Laboratory, Centre for Cognitive Neuroscience, Neuroscience and Behavioral Disorders Program at Duke-National University of Singapore Medical School , Singapore. She is also a principal investigator at Clinical Imaging Research Center, A*STAR and National University of Singapore. Her research focuses on the network-based vulnerability hypothesis in disease. Her lab studies the human neural bases of cognitive functions and the associated vulnerability patterns in aging and neuropsychiatric disorders using multimodal neuroimaging methods and psychophysical techniques. Prior to joining Duke-NUS in 2011, Helen was an associate research scientist in the Child Study Centre (New York University). She did a two-year post-doctoral fellowship at the Memory and Aging Centre (Department of Neurology, University of California, San Francisco), from 2008 to 2010. Helen received her Bachelor degree in Computer Science with first class honour (First class, 3.5 years accelerated) in 2003 and her Ph.D. in Neuroimaging in 2008 from Nanyang Technological University, Singapore. She is the recipient of undergraduate scholarship from Ministry of Education, Singapore (1998-2003) and the nominee for Lee Kuan Yew Gold Medal and the Institution of Engineers Singapore Gold Medal, Singapore in 2004. 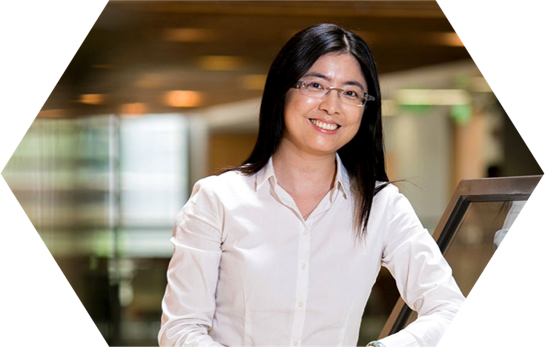 Helen has published in a number of journals such as Neuron, Brain, PNAS, Neurology, NeuroImage, and Molecular Psychiatry and has been the recipient of research support from National Medical Research Council and Biomedical Research Council, Singapore as well as the Royal Society, UK. She serves as reviewers and editors for a number of journals (e.g. Editor for NeuroImage) and grants. She is the Council – Secretary and Program Committee Member of the Organization for Human Brain Mapping. She is a member of the Organization for Human Brain Mapping, Society for Neuroscience, International Society to Advance Alzheimer’s Research and Treatment, International Society of Magnetic Resonance in Medicine, and American Academy of Neurology. For more information, visit Dr. Zhou's Google Scholar page.